Beware the errant spectator, the misplaced guard rail or even the poorly secured advertising banner. There are many things that can derail your chances of success in the classics and it was an apparent combination of those three things that ended Peter Sagan’s hopes of doubling up on his Ronde victory from last year. Like the mysterious injuries caused by red hot disc brakes perhaps we will never know what exactly precipitated Sagan’s fall on the Oude Kwaremont but whatever it was provided enough for Philippe Gilbert to stay away and claim one of the monumental classic races that he has always maintained he was capable of winning. Riding in the Belgian champions colours Gilbert had gone on the attack with more than 50 kilometres of racing to go and still facing some of the hardest climbs. In the races I’ve seen him in this year he’s looked like a rider who wants to race for every sign even if the result was unlikely to go his way. A gambler then? Perhaps, but maybe also a rider with a point to prove. Tom Boonen, racing his final Flanders, is targeting Paris Roubaix as his swan song but he’s a perennial favourite at 36 years old. So Gilbert at two years Boonen’s junior; why not? Well saying you can win it is one thing, actually doing it is something else entirely. Gilbert has clearly been rejuvenated by his move to Quick Step after four years at BMC. It’s always seemed to me that the last thing you want to do as a professional rider who’s winning races regularly is to move to BMC. Gilbert moved there after a stellar 2011 season that saw him take all three of the Ardennes classics as well as an early season win in Strade Blanche. He might have spent a year in the rainbow stripes but another Amstel Gold in 2014 aside it looked like Gilbert was a relatively under productive on a big salary. If this does him a disservice even the rider himself questioned whether the team really knew how to get the best from him, even going so far as suggesting that he would sacrifice his form in the Ardennes for a crack at the cobbles. BMC didn’t appreciate that suggestion at the time and we’re happy to put the house on Van Avermaet by not extending Gilbert’s contract at the end of 2016. That isn’t to say that BMC were wrong to do so; Van Avermaet has won Het Nieuswblad, E3 and Gent Wevelgem this year and Gilbert has rolled the dice in so many races that his number was always going to come up at some point. Compare and contrast two teams and Gilbert’s start to 2017. His form in the run up to today’s race should arguably have made him the favourite. Second in E3 and Dwars door Vlaandaren, stage win and GC in the 3 days of De Panne. But no, all the talk, the pre-race hyperbole was Sagan, Van Avermaet and to a lesser extent Boonen. Going long might not have seemed like a recipe for success either, at the point of Gilbert’s attack Sagan and Van Avermaet were both very much a factor. It’s often a risk with the biggest sporting events that the decision to ‘go live’ and ‘bring us all the action’ results in very little ‘action’ taking place. Returning from an early season cycling holiday in Spain I restored the power to our Sky Plus box this morning and found that live coverage would start at 9.30 this morning! Unfortunately for me this didn’t make for enjoyable viewing as the British Eurosport feed persists with Carlton Kirby as their lead commentator. Now I know watching cycling is a bit niche out there in the real world so taking issue with who calls the race might be seen as navel gazing in the extreme. Trouble is Carlton is really beginning to grate on me. Days were that David Harmon was Eurosport’s go to cycling guy but he left early in 2013 and since then the big stuff has been Carlton’s gig. He still manages to have his moments and his commentary on Iljo Keisse’s win in the 2012 Tour of Turkey is well worth a search on my YouTube page but most of the time I just wish I could mute him. Funny thing is the commentator who I think does it get right seems to polarise opinion almost as much as Carlton. Rob Hatch did call the race on the world feed (whatever that is) today and I think he generally gets the tone of things right. When the race was failing to ignite early on today Hatch would have lead a discussion about the contenders that wouldn’t have felt like he was calling out names from the start list. He also seems to get the best out of Eurosport’s lead colourman, the legend that is Sean Kelly. Anticipating a barrage of banality from Kirby, Sean can be equally anodyne in his contributions although he got engaged of his own accord today after Gilbert attacked. Rob Hatch manages to ask Kelly a question that actually makes him think and draws out some interesting insights as a result. Pairing Kelly with Kirby does Sean at bit of a disservice I think. Of the other commentators out there I think Ned Boulting will emerge as a bit of a doyenne after a shaky start. David Millar alongside him is very good too as someone with with recent knowledge of life in the peloton as well as no apparent desire to become a ‘character’. Matt Stephens is good in either role and Brian Smith provides a sterling service shooting down Kirby’s flights of fancy when required. Magnus Backstedt doesn’t appear as often as he used to but when he does you have to hope he’s alongside Rob Hatch as Kirby seems to melt any intelligent thought he might have. I’ll have to give some credit to Carlton as he was prepared to call it for Gilbert sooner than anyone else might have dared to, but he does love a trier. Any commentator would have struggled to find much to get excited about early on though. Race organisers Flanders Classics had made a number of changes to the route this year with the start moving from Bruges to Antwerp. For this monument tradition can always be bought and the suggestion is that Antwerp paid a six figure sum to host the race. Well at least they didn’t have to buy the crowds that turned out in the sunshine. Money apparently changed hands again to get the Muur-Kapelmuur reinstated into the race route after several years absence. No complaints about that and money well spent as it was the back drop for the key selection of the race with Gilbert and Boonen going clear with teammate Matteo Trentin, Sep Vanmarcke, Alexander Kristoff and Sky’s Luke Rowe in the group. Vanmarcke’s bad luck in the monuments continued and he even managed to bundle Rowe up in his misfortune when the Sky rider couldn’t avoid the falling Cannondale team leader. Vanmarcke got back on a bike eventually but he the crash ended his chances and it looks like a breakthrough win is as far away as ever. Rowe hadn’t look that strong either and with Ian Stannard relatively anonymous so far this year Sky have had a poor return on the cobbles in 2017. While Sagan’s coming together with an anorak might have sealed things for Gilbert, Van Avermaet had a good go at reeling him in. He might have done too, but was probably undone by running out of kms to track down the leader coupled with the completely supine response from the other riders in his group. As I said earlier I think there was an element of luck that played its part in Gilbert’s victory but the unpredictable factor was leavened out by the riders self belief that he could bring off a result in this race to the extent of launching a solo attack so far out that most wouldn’t have expected to survive. Gilbert’s decision, post Flanders to pull out of Paris Roubaix suggests that he would have been prepared to gamble again if he hadn’t have pulled off the win in the Ronde. A few riders that might have featured in Flanders lined up in the Basque Country on Monday. With Sky’s poor showing on the cobbles might they have benefited from the presence of the Gilbertesque Michal Kwiatowski? I much prefer the early season week long stages races and I look forward to Itzulia primarily to see hard racing in horrible weather and on that score this year’s edition has so far disappointed. We’ve just returned from a week on the bikes in Spain and enjoyed weather that by U.K. standards was positively balmy. I’ll be tuning in to the rest of rtthe week’s action but hoping that the rain clouds start gathering otherwise the race might end up looking like an Argos Volta a Catalonia. As the 2014 Tour de France entered its final week and the second of three days in the Pyrenees the GC looked increasingly nailed on for Vincenzo Nibali. By the time the next two stages had been completed his victory was all but assured and most people’s attention shifted to the competition for the podium places being contested by three French riders for the first time in 30 years. But first to the Shark of Messina, Nibali who dealt with the man who was arguably his last remaining rival by appearing to not focus on him at all. Movistar tried any number of combinations to provide Alejandro Valverde with the platform to take time back from Nibali, if not take an unlikely lead. Nibali, supposedly hamstrung by a weaker team in many pre-race assessments actually rode similarly to Chris Froome last year, able to look after himself when the stage entered the final act. There is a clear stylistic difference between the two riders, but the way Nibali disposes of his rivals by putting on short, powerful bursts of acceleration is no different to Froome. The Sky riders exaggerated pedal stroke is more obvious than Nibali’s digs but the end result is the same. On stage 17, won by KOM winner Rafal Majka Nibali did what was necessary to maintain his advantage but on the following day he destroyed any lingering chances of the yellow jersey going elsewhere this year. Nibali won the stage to the top of the Hautacam by more than a minute from Thibaut Pinot. Inextricably linked with doping the margin of victory on the climb led to a louder chorus of questions for the Maillot Jaune. Whatever anyone thinks of Nibali’s performance it’s worth noting that his time up the Hautacam was only good enough to make the top 30 of all time climbs of the peak. Some have argued that his time may well have been slower as the stage also had to cross the Tourmalet, but from the VCSE viewpoint the significance of the time gap owed more to the absence of the aforementioned Froome and (of course) Alberto Contador. Nibali’s winning margin when the race entered Paris was nearly 8 minutes, but he gained much of his lead on the cobbles of stage 5 where one of the pre-race favourites crashed out and the other lost time. It was also lost on many that Nibali gained yet more time on the penultimate stage time trial when most cameras were focusing on the battle for second and third between Pinot and Jean Christophe Peraud. The attack, if it can be described as such (surely just better race craft) on stage 5 is the most obvious example, but throughout the race Nibali took maximum advantage from the chances that were presented to him. When these chances happened towards the end of a stage, as with the end of stage 2 in Sheffield, Nibali grabbed the win while others seemed to wedded to their own game plan to capitalise. The doping questions have been less strident this year, although the presence of Alexander Vinokourov managing Nibali’s Astana squad meant that some saw no smoke without fire. Nibali seemed to deal with the questions in a dignified way, although it’s also true that doping questions in general tend to emerge from English speaking journalists so it’s always possible some things got lost in translation. If the assumption is that Froome’s 2013 win was clean, then there’s no reason why Nibali’s victory should be viewed any differently. Of the riders starting this years Tour Nibali, Contador and Froome are a class above and in the absence of the latter two surely it’s not that surprising that Nibali emerged as the winner? 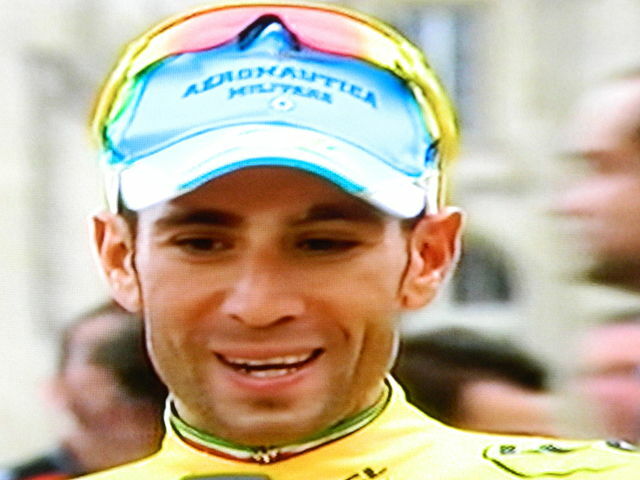 Nibali’s victory, for all of the peaks of his stage wins was understated and classy and that’s typical of the rider. The fact that Nibali is already talking about returning to the Giro next year demonstrates his appreciation for the history of the sport. Of course, a cynic might say that in doing the Giro in 2015 Nibali will avoid a match up with 2014 Giro winner Nairo Quintana, not forgetting the likely return of Froome and / or Contador. The likelihood of Quintana and Nibali meeting for a GC contest next season is unlikely if the Scilian doesn’t defend his Tour title. The question of who is currently the greatest grand tour rider will have to wait a while longer. 30 years of hurt.. Over? You wait 30 years for one French rider to get a Tour de France podium and then two come along. In our last post we had speculated whether AG2R could get a rider on the podium after Roman Bardet had lost his young riders jersey and third place to Thibaut Pinot on stage 16. With a time trial to follow the final mountain stages it seemed likely that Bardet would be the rider to lose out with the AG2R team, but as Alejandro Valverde’s hopes of a podium went a stage too far in the Pyrenees the French teams found themselves scrapping for second and third with two podium places on offer. Peraud was often Nibali’s shadow in the mountains and that alone should dispel some of the speculation about whether or not Nibali is clean. Peraud the ex mountain biker is 37 and it’s hard to see his second place as anything other than a career high watermark. This isn’t to diminish his performance; Peraud finished ahead of stage race winners like BMC’s Tejay Van Gardaren as well as Valverde, Pinot and Bardet. Peraud leapfrogged Pinot as expected during the TT, but the FDJ rider was consoled by his own place on the podium as well as the young riders jersey. The absence of Froome and Contador looms over this French renaissance however. It’s hard to see how the dual podium for Pinot and Peraud could have been acheived if Froome and Contador had been present. It’s more likely that a top ten result would have been possible, indeed this is where Pinot saw himself within the 2014 Tour contenders: “..no better than 5th to 8th”. The payoff for French cycling is a likely increase in interest and participation with the sport itself able to reflect that this is what a clean(er) race looks like. That Omega Pharma Quick Step have been the team of this years cobbled classics would not have been disputed ahead of last Sunday’s Paris Roubaix. Sure the Belgian outfit had celebrated a couple of individual wins for Tom Boonen and Niki Terpstra respectively in Kuurne Brussels Kuurne and Dwars door Vlaanderen but the most noticeable aspect of the team’s performance had been their ability to get numbers into the final selections in each of the races. Besides Boonen and Terpstra, riders like Stijn Vandenbergh, Zdenek Stybar, Three days of De Panne winner Guillaume Van Kiersbulck and Matteo Trentin had all been part of the action as races entered the final kilometres. The problem was that strength in numbers hadn’t delivered a result in the races that mattered and often it looked like having more than one rider capable of winning was creating confusion among riders and in the team car about who to back for the win. Through no fault of his own Tom Boonen hasn’t been able to turn his form from February when he took KBK into further wins. It seems unfair to speculate how much of an impact his girlfriends miscarriage had on his racing, after all Boonen would be forgiven if he chosen to withdraw from more than one event under the circumstances. In Flanders and at E3, he didn’t look like he had the legs to challenge his greatest rival Fabian Cancellara leaving the team wondering which horse to back from Boonen’s many lieutenants. VCSE covered in previous posts, but the facts are that the QPQS strategy of backing Boonen, meant that the team appeared unable to think tactically when he faded and other riders should have been given the chance to go for the win. One trick pony Vandenbergh was always going to be an outside bet for the win in Flanders, but given the nod to go at E3, it’s entirely possible Terpstra could have nicked the win. Of course, Terpstra would take missing out on the semi-classic as he’s now the proud owner of one of the weirdest trophy’s in any sport; the Paris Roubaix cobble (the weirdness continues as the PR winner also gets his name recorded for posterity on a shower cubicle in the velodrome). Boonen had talked about giving a teammate the opportunity to go for the win, even of setting someone else up if he wasn’t well placed on Sunday. The likelihood is that by the time Terpstra attacked with less than 10k to go, Boonen’s legs had gone. He had attacked early, further out than even his 50k plus solo break in 2012. Watching Boonen was seeing a rider who seemed to know where every cobble lay, every gully that could be followed to avoid the bone shaking pave or to eke out some more speed. He was able to get across to a starry group that included Sky’s Geraint Thomas and later BMC’s Thor Hushovd, but what he couldn’t do was get them to work with him. With the gap to the peloton hovering around the 30 second mark Boonen spent his time between the cobbled sectors either caning it on the front of the break or shouting and gesticulating at his companions to take a turn. It’s hard to imagine a scenario in which riders on any of the other teams would work for a four-time winner of this monument, but Boonen’s vain attempts for some collective effort from the breakaway were not helped by the presence of riders from BMC (Hushovd) and Belkin who were riding for Taylor Phinney and Sep Vanmarcke. While all of this was going on Fabian Cancellara had survived a near miss with a falling teammate and was lurking within the chasing group. He was happy to let first BMC and then Belkin make the running to try to catch group Boonen and didn’t appear to engage anything like top gear until Vanmarcke decided to bridge. Boonen who had stretched the gap to 50 seconds at one point, now saw it plummet until eventually the break was caught. If Boonen and co had still been ahead when they reached Carrefour de l’arbe it’s possible we could have been looking at the first rider to win five Paris Roubaix and possibly the greatest ever. With such a stellar selection to contest the final stages it was still an outside possibility that Boonen might win at this stage, but with Cancellara now in the lead group there was also a sense that he would find a change of pace and go. When Boonen’s act had played out we had also seen a little cameo from Peter Sagan. Great rider that he undoubtedly is Sagan doesn’t seem at home in Paris Roubaix and his attack never seemed that determined. The rider that left you feeling “could he?” was Bradley Wiggins. Much had been made of Wiggins riding Paris Roubaix and he hadn’t exactly disgraced himself at Flanders the week before. At one stage he even led the race. Yes, you read it here (assuming you didn’t watch it!) Bradley Wiggins led Paris Roubaix. Let’s be clear the Wiggins that showed up on Sunday isn’t the grand tour winner of 2012, but he’s the first grand tour winner of any stripe to have ridden the cobbles for over twenty years. Outside of Terpstra’s win, Wiggins was the ride of the day. Terpstra’s winning break had something of the Cancellara’s about it; a sudden injection of pace, the extra gear that no one can quite match. While everyone else was going “No, after you” Terpstra was gone. Wiggins and Thomas (yeh, he was still there) had a bit of a chat and based on Wiggins post race comments about “..having the legs” maybe it was Thomas who felt he couldn’t do much more. Rather like what might have happened with Boonen, VCSE can’t help thinking about what might have been if Wiggins and Thomas had gone into pursuit mode and chased Terpstra down. As it was the gap was soon too big and Terpstra was able to enjoy his lap of the velodrome before falling into the arms of his doris once he crossed the line. The win will put some gloss on OMQS classics season and in Terpstra there’s the potential for a successor to Boonen as their go to man in the classics. Can Boonen win a fifth Paris Roubaix (or even a fourth Flanders?)? VCSE thinks probably not, even though we would love it if he did. He will be 35 next year and while Cancellara has been there or thereabouts himself this year, a second successive Flanders win masks a significantly less successful year than last. This is likely to mean a stronger Cancellara challenge in 2015 and with riders like Vanmarcke improving all the time it’s likely that Boonen’s days as the unofficial King of Flanders are numbered. A couple of lines from our favourite stage race of last year. This year’s Tour of the Basque country was held in relatively fine weather and perhaps this made for a less exciting race. The GC contest was pretty much settled on day one as Alberto Contador sailed up the least likely cat 2 climb on this years world tour to take a 14 second lead over Alejandro Valverde. The line up for the race had suggested that the GC would be more widely contested but with Carlos Betancur withdrawing after stage one the attrition rate took place each morning rather than on any of the climbs as one by one the GC boys packed their bags. Contador looked as good as he did in Tirreno Adriatico in that he delivered one spectacular ride and was then unspectacular in holding onto his lead. Valverde was marked tightly by Contador’s Tinkoff teammates and you felt that he was never going to beat his compatriot in the contest that mattered. 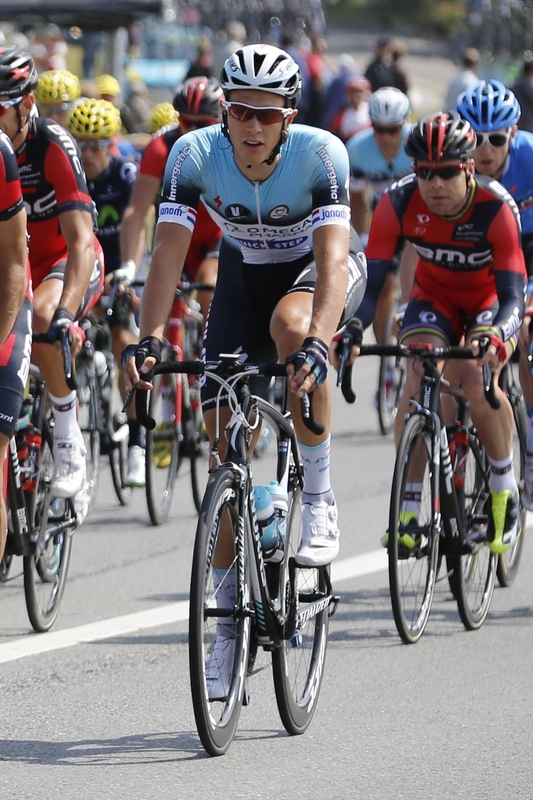 Omega Pharma had a great week with two stage wins for Tony Martin and one for Wout Poels. The first of Martin’s wins was a watered down version of his all day solo breakaway at last years Vuelta except here he went one better and actually one the stage. Martin’s winning margin in his specialist event wasn’t anything like as convincing but unlike Rui Costa, Martin has broken the curse on his rainbow jersey. Unlikeliest win of the week came from Sky’s Ben Swift who showed a hitherto unknown capacity for climbs to win the penultimate stage. Take a look at the top 10 for the day and the complete absence of sprinters demonstrates the parcours that Swift needed to negotiate to take the win. The irony that Swift could win the stage ahead of so many GC riders is that in all likelihood if the stage had come down to a bunch sprint among sprinters he would probably finished top 10 at best (Swift was fourth in stage 3’s bunch sprint). After a fine showing in Milan San Remo, Swift might be an outside contender for one of the Ardennes classics, although it’s hard to imagine him sprinting up the Mur de Huy somehow. Perhaps the emergence of Swift as a classics option might see Sky finally pull the plug on poor old Edvald Boasson Hagen who continues to serve up poor performances in the races where he is a supposed ‘protected’ rider. And so we inevitably turn to Sky. Chris Froome chose to ignore Ron Burgandy’s advice to “Stay classy” on Sunday by posting a picture from his training ride on Tenerife. OK, so it’s possible that Froome ‘dog’ still lets his missus post on his behalf but nothing says I don’t give a toss about what my teammates are doing right now in northern France than a picture of a snowcapped mountain and the admission that you have spent your day on a long training ride. This is the kind of self awareness that Lance Armstrong showed when he posted his Tour jersey photo after USADA and suggests that its Froome who had the problem with Wiggins before Wiggins had a problem with Froome. If there are teams within this team, VCSE is in team Wiggins. In other news, Sir Dave Brailsford has stepped down from British Cycling to concentrate full time on Sky. Whether or not this is good news for Team GB and the track cycling unit remains to be seen (say in 2016) but it’s likely to mean good news for Sky. There isn’t any sign of the wheels coming off the Sky juggernaut yet, but this year hasn’t been particularly overwhelming either with Froome’s repeat win in Oman they only major success. For one reason or another Sky haven’t been the team riding on the front in stage races and while the classics outfit has enjoyed more success than last year, they’re still to land a major one day success. Brailsford bringing his laser focus full time to Sky is likely to bring fresh successes, but don’t be surprised to see the team winning races differently to the methods employed in 2012 and 2013.